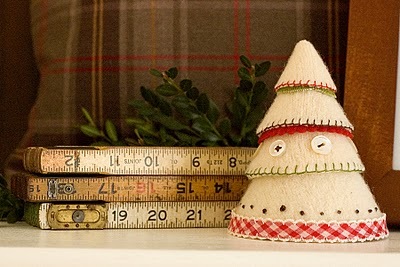 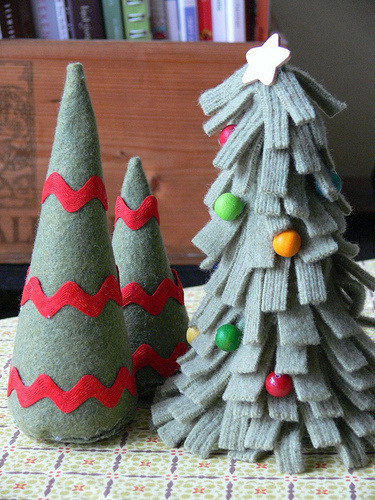 Making tabletop Christmas trees of felt is good way to go if you want to get more cozy objects of holiday decor than those that made of cardboard or paper. 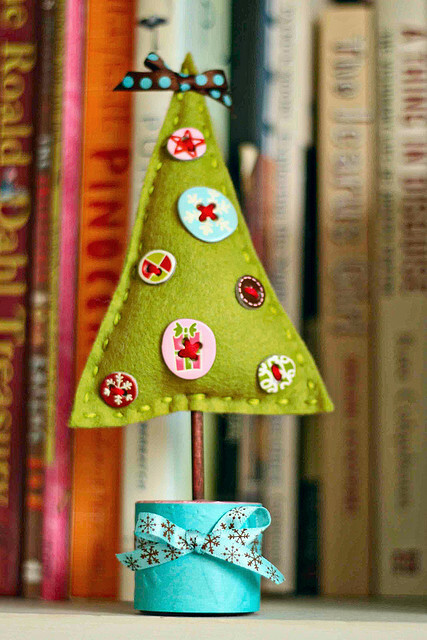 These cute little trees are perfect for small flats but would work well in big living spaces too. 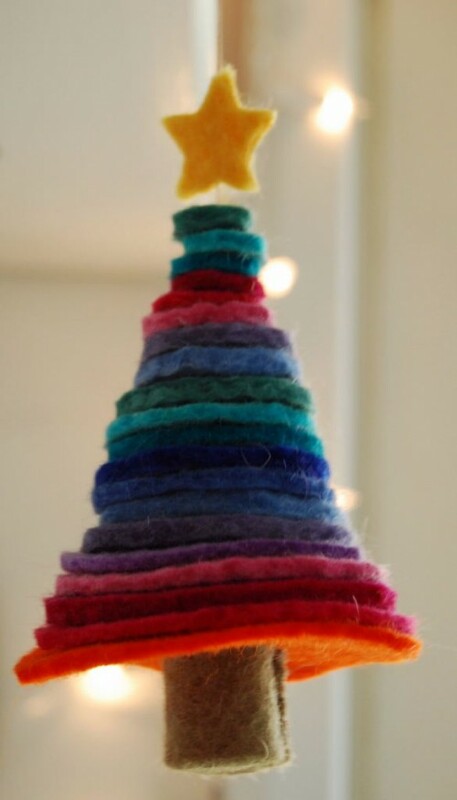 You can use as store bought felt as some of your old sweaters for such project. 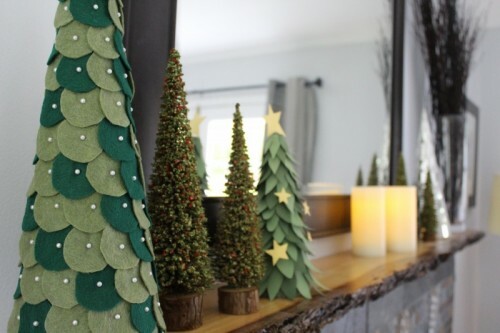 Check out these tutorials to understand how.